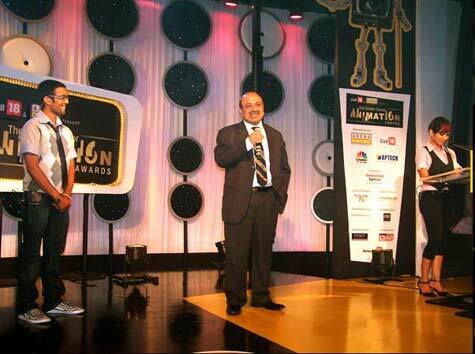 Mumbai: Arena Animation, a global leader in hi-end animation training, in association with Cell18, one of Asia's largest production houses & creative arm of Network 18, presented 'The Golden Cursor Animation Awards’ in Mumbai. 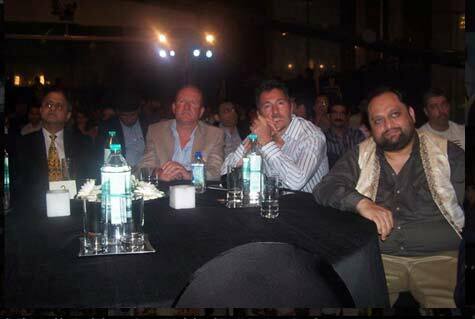 In its second year, the Awards were graced by the presence of world renowned animation and gaming artists – Anthony Christov, Art Director for the Academy Award winning Wall-E and BAFTA winning Ian Livingstone, of Tomb Raider fame as the chief guests for the evening. Ninad Karpe, CEO & MD, Aptech Ltd, Anuj Kacker, Global Head – Arena Animation & Aptech, & Ravi Dighe, Sr. Vice President, Aptech Ltd., graced the occasion. ‘The Golden Cursor Animation Awards’ is an initiative honouring the best work in Indian Animation that has enthralled the world. In its first year ‘The Golden Cursor Animation Awards’ received an overwhelming response. The industry recognised them as a welcome initiative to recognise and encourage the outstanding work done by Indian Animators. The momentum continued in the second year with entries pouring in for various categories. A highlight this year was the ‘Amateur Storytelling Contest’ that received more than 200 entries. The winners of Golden Cursor Animation Awards were chosen after a comprehensive three-stage process that involved the Indian Animation Industry nominating some of their best work across 25 categories. Post that, a panel of experts short listed the top 3-5 nominees in every category and the same were presented to an eminent jury panel comprising of the animation industry’s most revered names, who short listed the entries based on the pre - determined parameters. The distinguished panel for the Awards included Madhusudanan - Director and CEO-Geon Studios, Madhavan – CEO-Crest animation, Gitanjali Rao - Animation film maker, Yunus Bukhari - VFX Producer, Artery Animation & Fx, Ashish Kulkarni - CEO, Big Animation, Puneet Sharma - Technical Advisor, Arena Animation & Anand Gurnani - CEO, Animationxpress.com. Expertise that spans 15 countries, and training that is globally respected, characterize Arena. Arena Animation is a global leader in Animation and Multimedia education and trains students as well as professionals & entrepreneurs in the latest industry relevant courses. Arena's range of courses mainly comprise of training in areas such as Animation, Graphics, Gaming, Web and Interactive Multimedia among others. Arena Animation imparts intensive training through industry relevant curriculum that prepares students for jobs with the best names in the multimedia, animation, and entertainment industry thereby enhancing the Arena Animation certification confidence amongst the animation & multimedia aspirants.